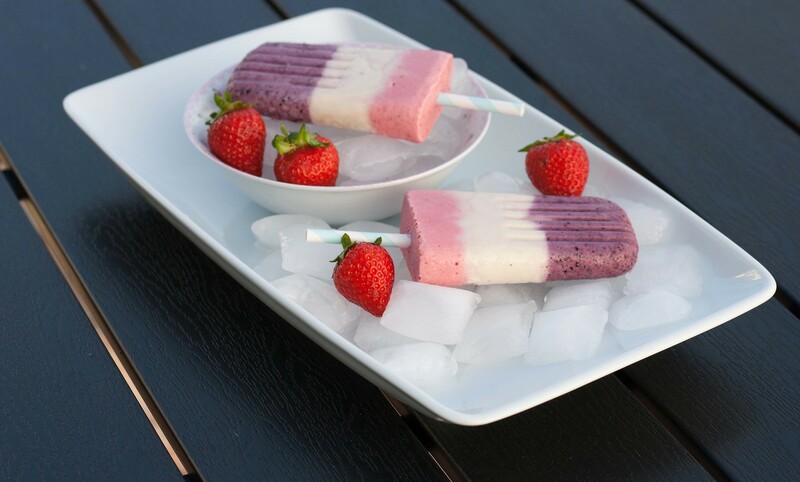 Homemade Popsicle, or ice lolly as they are called somewhere, is a great dessert or snack especially during the summer time. 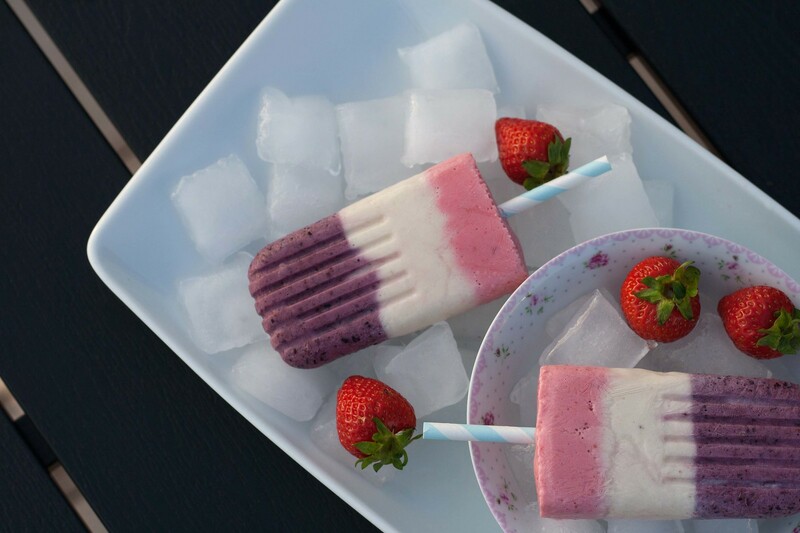 We have made these Popsicle many times and they are super delicious. 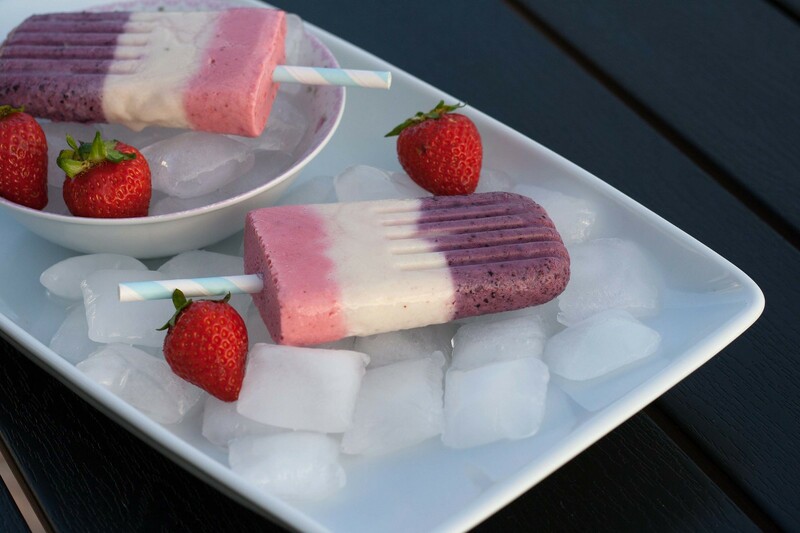 We normally make the Popsicle with blueberries, strawberries and bananas. However, the type of berries and fruit is basically totally up to you and your preferences. This recipe is very easy to make and it’s based on simple and low fat ingredients – you only need low fat Greek yogurt or another similar dairy product, some honey, fruit and berries. Because this ice creams doesn’t contain any heavy cream or other fat products they are a very healthy alternative to regular ice cream. Even though this ice cream is fat free it’s still very delicious and it’s our experience that kids love them. We have three different layers in the ice cream. However, you can easily experiment with thinner and more layers and layers with different tastes. For this recipe you would need some Popsicle molds which you can find at your local kitchen appliance store or online at eBay or Amazon. 1. 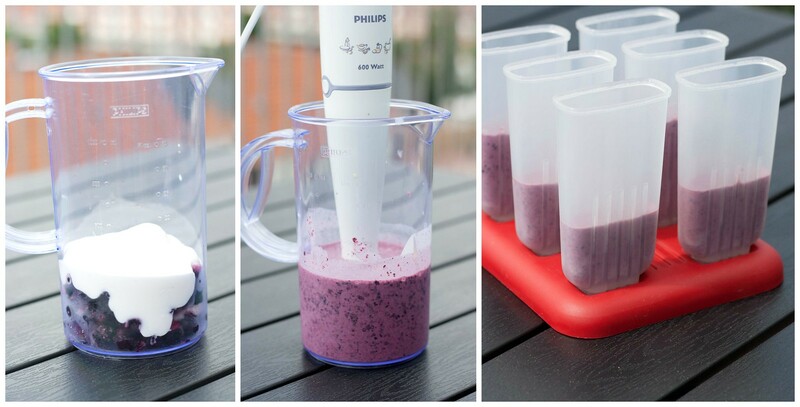 Blend blueberries, Greek yogurt and honey together. We normally use a stick blender. 2. Pour the blueberry mixture in a plastic bag and cut a hole at one of the corners. 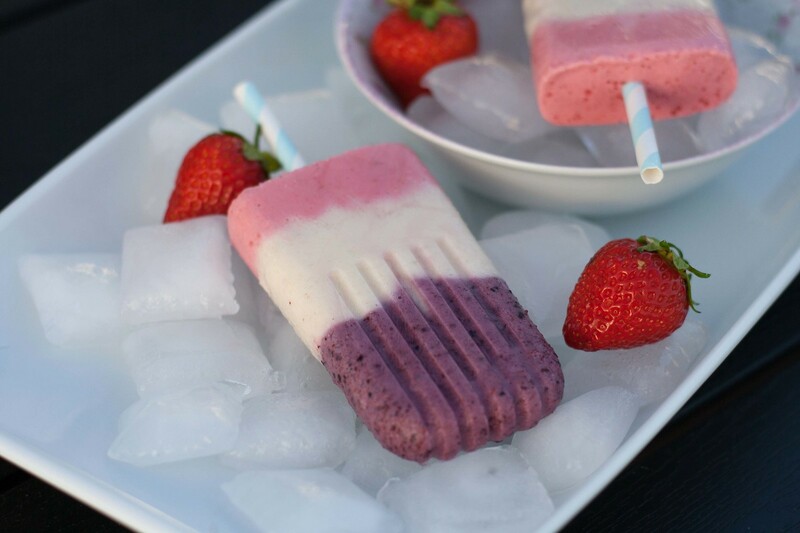 Press/Pour the ice cream mixture thru the hole into the 6 Popsicle molds – try to avoid hitting the walls of the molds. 3. Freeze the blueberry mixture for about 20 minutes or until the ice cream is hard enough so that the next layer can be added without the layers mixing. 4. Blend the banana, Greek yogurt and honey together. 5. 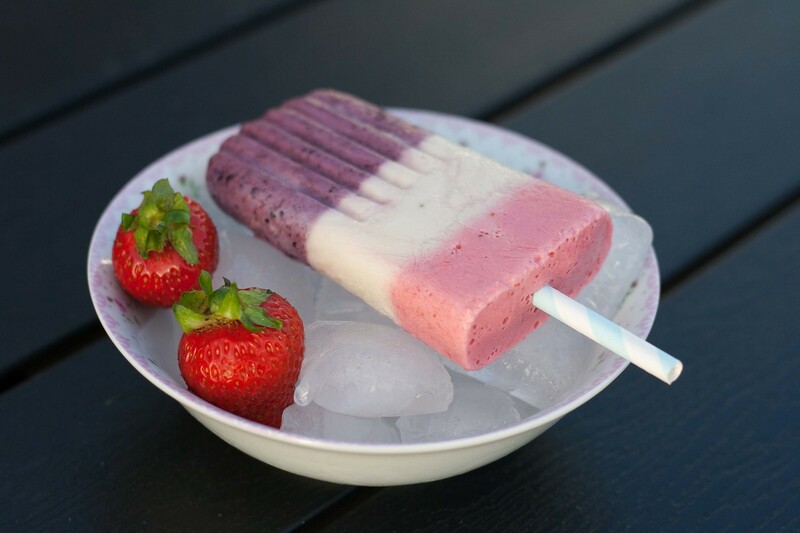 Pour the banana mixture in a plastic bag, cut a hole in one corner and pour it into the 6 Popsicle molds. 6. Let the banana layer freeze for about 20 minutes. 7. Blend the strawberries, Greek yogurt and honey. 8. 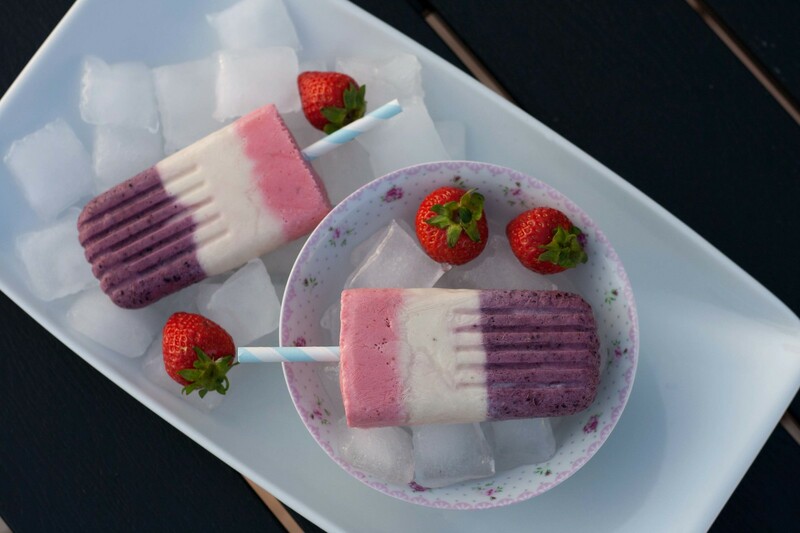 Pour the strawberry mixture in a bag, cut a hole in a corner and pour it into the Popsicle molds. 9. Place a stick/handle at the center of the Popsicles. 10. Freeze the Popsicle for about 4 hours or until they are completely frozen. 11. When you want to eat a Popsicle you need to remove it from its mold. It’s easier to remove if you apply a little hot water on the outside of the mold first.